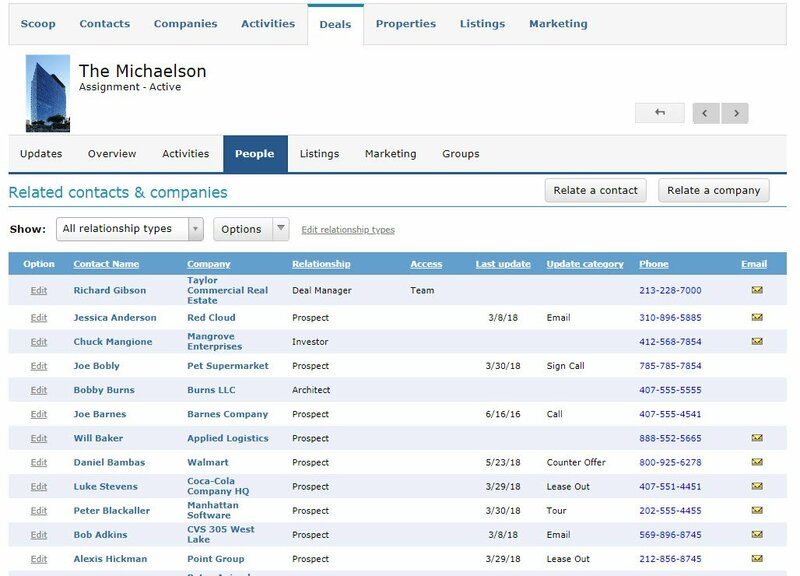 We added a new feature to our commercial real estate software last week allowing you to see the category of the last update you linked to a deal for each contact who is related to that deal. This is an expansion of the feature that we added in February (learn more about that here) that allows you to see the date of the last update. 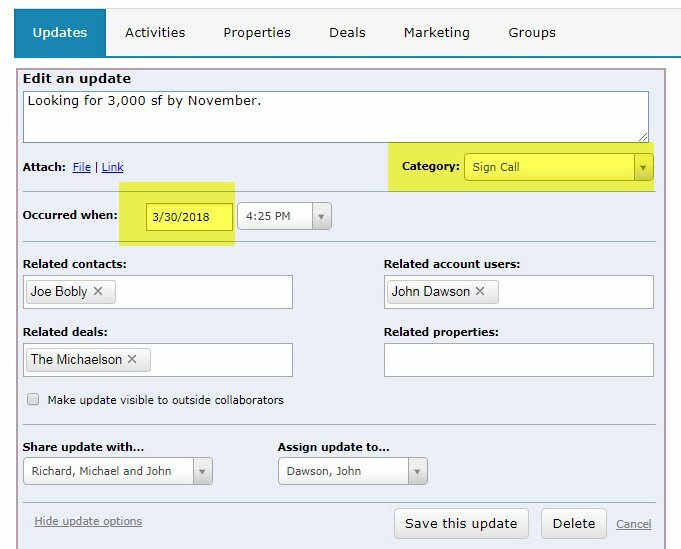 Now, when looking at the people tab of a deal, you can quickly and easily see what’s going on with every contact related to that deal. Here’s how it works. 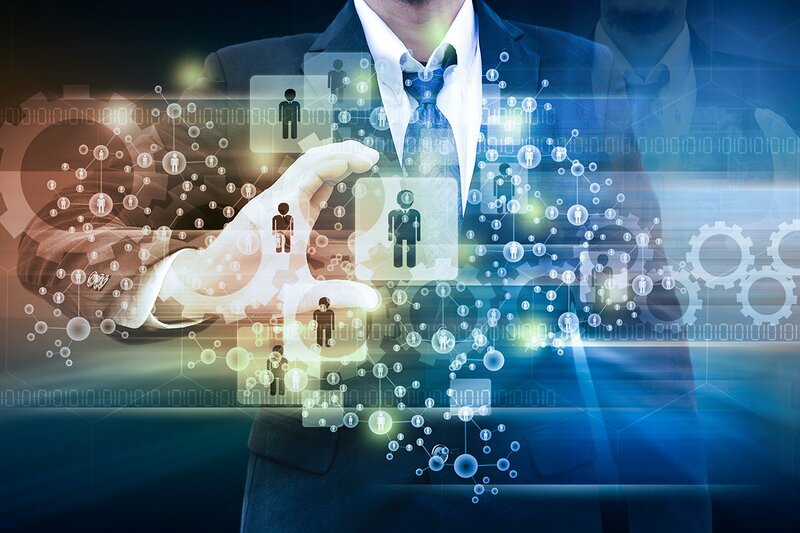 On the contact record of any contact who is related to a deal, we create an update. Choose the “Category” from the picklist. Once you have chosen a category, be sure to relate this update to the deal in question by choosing the deal name in the “Related deals” box. Now open the deal. You will see a list of updates on the “Updates” tab, each one categorized and date stamped. If you click over to the “People” tab, you will see all contacts that you have related to the deal. 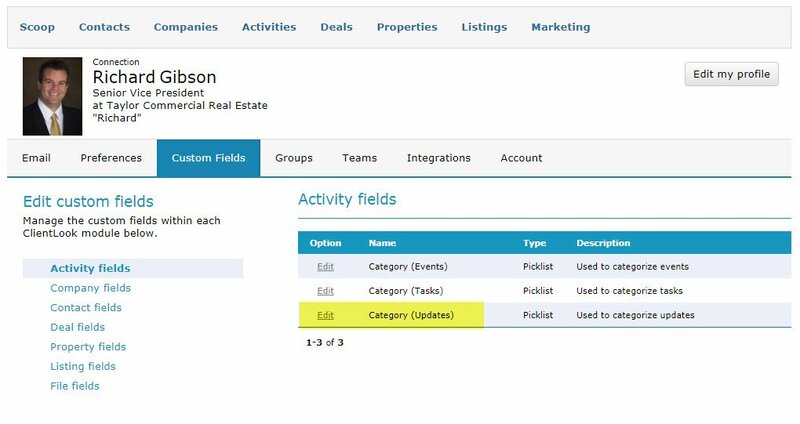 For any with an update, you will see the last date and last category listed under the appropriate columns on the grid. 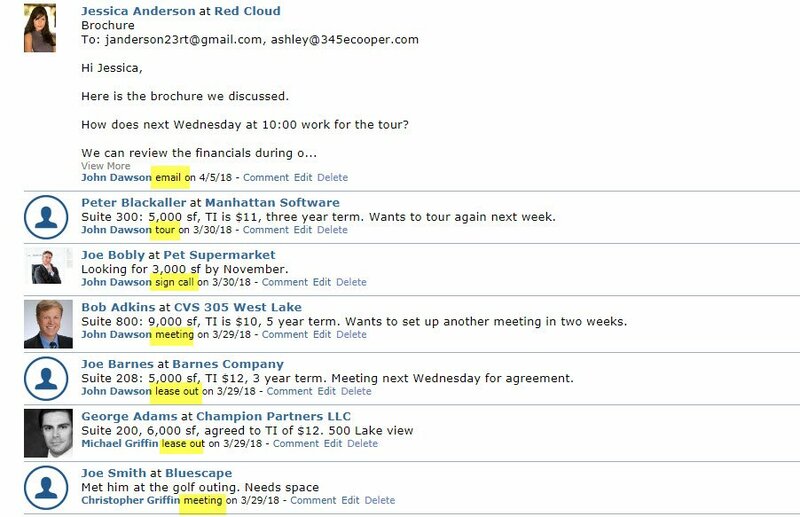 This makes it really easy to keep up with the status of each contact on the deal. If the “Last date” and “Last category” columns are empty, then you know quickly that there has been no activity with that person. For those with data in those columns, you have a quick “status at a glance” summary for each person. IASB Released New Lease Accounting Rules Today, FASB to follow! Thanks for reading and supporting our amazing Marketplace Partners, like ClientLook. It means so much to us all!